Amazon on Wednesday announced its "Login with Amazon" service that will allow consumers to login to games, applications and more using their Amazon credentials. It's a similar service to what Google, Facebook and Twitter already offer, and it provides developers and consumers alike with a new option for accessing popular apps without having to create a separate username and password. The option has been available for select consumers who decided to access Woot and Zappos, two Amazon properties. The company found that 40 percent of its new Zappos.com customers opted to use Login with Amazon while new customers on Woot used the option "two times more often than any other social login on their site," the online retailer said. Using an Amazon account to login to a game or application provides access to Amazon's GameCircle achievements and leaderboards, the ability to make in-app purchases with an Amazon account and more. It also offers greater distribution opportunities for developers through Amazon's AppStore. Developers and website owners can securely connect with Amazon's over 200 million active customersSEATTLE–(BUSINESS WIRE)–May. 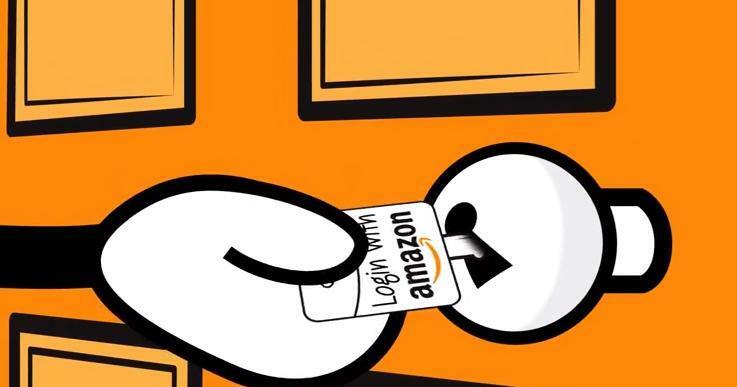 29, 2013– (NASDAQ: AMZN) — Today, Amazon launched Login with Amazon, a new service that will enable the over 200 million active Amazon customers to securely and simply login to apps, games, and websites. Login with Amazon allows developers to easily reduce sign-in friction for their customers, leading to higher engagement and order conversion.According to a 2012 Harris Interactive study, over half of all American Internet users have five or more unique passwords to remember. Login withAmazon reduces sign-in friction by eliminating the need for users to create an account and password, and instead allows them to sign-in using their existing Amazon account information. Amazon customers can choose to share certain attributes of their account profile with apps, games, and websites by using Login with Amazon. "Login with Amazon enables app developers and website owners to leverage Amazon's trusted sign-in solution, allowing them to focus on providing a great experience for their customers," said Michael Carr, Amazon Vice President, eCommerce Services. "Amazon customers now have a hassle-free way to quickly and securely sign-in to apps, games and websites, without having to remember yet another password."